The weekend saw celebrations in North Korea, with fireworks and a major rally to mark the 20th anniversary of Kim Jong Il’s election as General Secretary of the Worker’s Party of Korea (WPK). But it also saw the ruling party get down to business, with the second meeting of the WPK’s 7th Central Committee since its election at the party congress last year. 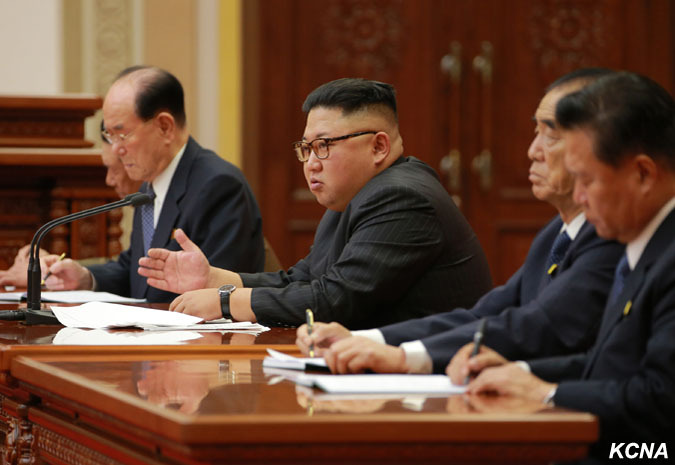 Among these matters was the party’s governance, and the event saw several promotions of top officials to full membership of the DPRK’s Politburo – which meets once a month and governs the party when its Central Committee, which only meets once a year, is not in session. Among these was foreign minister Ri Yong Ho: fresh from denouncing the U.S. at the United Nations, he was rewarded for his hard work. 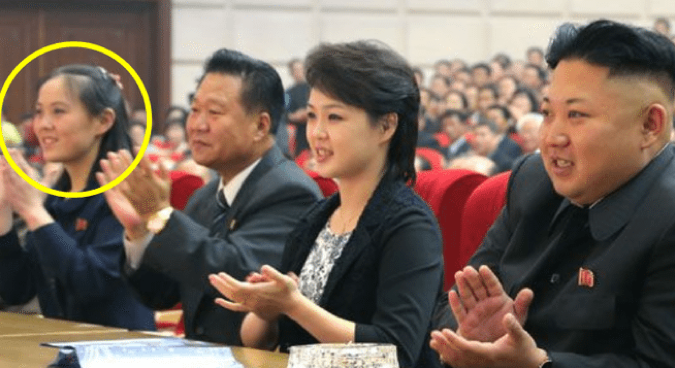 But what caught many commentators eyes was the family angle: Kim Jong Un’s 30-year-old sister, Kim Yo Jong, was promoted from a member of the Central Committee to an alternate member of the Politburo. Her father-in-law, too, was promoted: Choe Ryong Hae was made a member of the Party Central Military Commission. On the surface the move could be seen as a means for Kim Jong Un to shore up his power, promoting a relative with whom he is known to have a close relationship and keeping members of the ruling family front and center. The two share a mother – rare for the children of Kim Jong Il – and attended school together in Switzerland. The move also brings some fresh blood into the all-important body, dominated as it is by elderly generals and party officials, some of whom have been members since before Kim and his sister were even born. Kim, it seems, is now among one of North Korea’s most powerful millennials. The promotion also suggests that a shift is slowly taking place in the North Korean leadership: while reports of recent purges have been minimal, suggesting the situation is largely stable, a new generation of politicians have increasingly appeared alongside the leader over the last few months. “Basically, she is now formally recognized as one of important aides and advisors of her brother,” said Fyodor Tertitsky, an NK News columnist and a recent Ph.D. graduate from Seoul National University. In her new role she will participate in so-called extended sessions of the Politburo, Tertitsky added, and is now superior to a Central Committee member but inferior to a full member of the Politburo. The data suggests that the promotion over the weekend is something of a return to the spotlight for Kim Yo Jong. While Kim’s career has seen a slow ascendency since her brother took power, it has not also been without ups and downs. A year later the Seoul-based Daily NK would report that she had been named the vice director of the ruling party’s Propaganda and Agitation Department (PAD) – a highly influential party organ responsible for the DPRK’s mass media and, as the report put it, the “idolization” of Kim Jong Un. 2015 saw her star continue to rise, appearing in 25 state media reports and accompanying the leader everywhere from orphanages to military installations. Her appearance leaned towards economic matters and away from military affairs – in a year when Kim Jong Un made more military-related appearances than ever before. 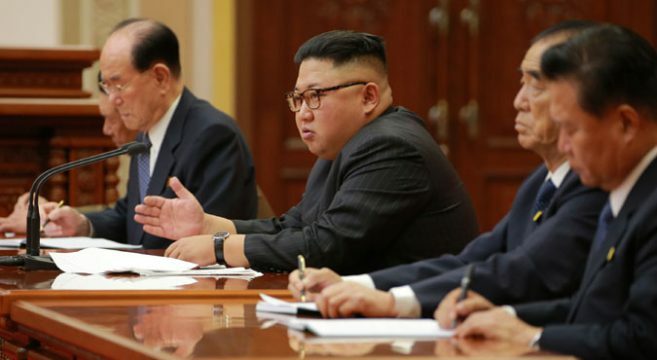 Despite a 47-day absence, attributed by some to a pregnancy, Kim appeared at the center of North Korean power, and took on a range of new responsibilities, reportedly managing his schedule, coordinating his fashion and hairstyle, and assisting in the arrangement of his meetings as one of a few persons with direct access to the Young General. The following year saw her public appearances drop in number, but she remained prominent, visiting several projects linked to the DPRK’s construction boom: the announcement of the Ryomyong Street project and a visit to the Mirae Shop and Health Complex. She was also, at the 7th Congress of the WPK, made a member of the Central Committee. Her appearances continued steadily until May 30. After being reported attending a friendly basketball game between the Sobaeksu Men’s Team of the DPRK and the Chinese Olympic Men’s Team, she did not appear in state media for 16 months. Her appearances continued steadily until May 30. After being reported attending a friendly basketball game between the Sobaeksu Men’s Team of the DPRK and the Chinese Olympic Men’s Team, her name did not appear in state media for 16 months. But there is evidence that Kim has not ceased to be an important figure in DPRK power politics. January saw her join her brother on the Office of Foreign Assets Control (OFAC)’s list of designations against North Korean entities and individuals, for her role as vice director of the PAD and involvement in state censorship and human rights abuses. The PAD was previously designated by OFAC in March last year. She also popped up occasionally on North Korean television, appearing in April at the Day of the Sun parade. In a July article for NK Pro, analyst Tristan Webb pointed to an increasing trend among the new politicians that had emerged under Kim Jong Un. Absences of key figures in North Korea have long been interpreted as being indicative of purges, or some other disciplinary action being taken. But this may no longer be the case, with politicians undergoing lengthy absences from state media before reappearing with a prominent new title. Take the case of Ri Yong Gil, who did not appear in state media for ten months, only to reappear in the position of an Army Colonel General and 1st Vice Chief of General Staff, or that of O Su Yong, who did not appear for three years only to appear at the leader’s side as, among other things, a member of the Politburo. “Given the pattern of ‘absence followed by promotion,’ it seems that these periods of absences might not be periods of purging, or of ill health, but of advanced political and military training at a party or military school,” Webb wrote. “Kim derives her status from her membership of the Kim family, not from her position within the political structure,” Green said, pointing to her aunt, the wife of the late Jang Song Thaek, Kim Kyong Hui, as the closest equivalent example. Whatever the reason for her disappearance, it’s clear that Kim’s promotion is part of a broader trend of a new generation of leaders in Pyongyang, with her special status as a member of the ruling dynasty meaning she was never going to stay out of the spotlight for long. Kim Jong Un pledged in his speech on Saturday that the ruling party would soon “victoriously conclude the standoff with the U.S.” and praised his country’s development of ballistic missiles and nuclear weapons. On the other side of the ocean, U.S. President Donald Trump warned that “only one thing will work” to stop Pyongyang, complaining that diplomacy had failed. It’s clear that now is not the time for Kim Jong Un to feel unsafe in his position or doubt the loyalty of his party: having a family member in a position of high influence is one way to guarantee that is not the case.